The whole staff was so pleasant from beginning to end. Special kudos to the office manager she was very informative re: my ins. Jill was awesome and put my mind at ease. I will go no where else. My first visit today was very pleasant. Absolutely wonderful, caring staff. Met with the midwife, Jill who is AMAZING. Highly recommend. My wife had our first baby and Dr. Slaughter was her doctor. Best doctor ever!!!! Dr Slaughter was really nice to talk with. A friendly, caring demeanor. I went in with a problem and she walked me through everything that she will be doing and made sure that I was comfortable. Thank you!! Great experience!! Very friendly and knowledgeable makes an uncomfortable experience comfortable. Great experience. Dr. Slaughter was nice, friendly and knowledgeable. It was amazing, they are so patient and kind. The ambiance is spectacular. My overall experience is well worth it. All of the staff is nice and it feels like home every time. I highly recommend this office. Dr. Slaughter and Staff are awesome! She was great, I was very nervous to go to a new doctor but she was very informative and assertive it made me feel so much better and I will def be coming back. My experience was awesome. This was my first visit and I was having my annual exam. My appointment was at 9AM and I got started on my vitals, early. The receptionist was very friendly. Dr. Slaughter was extremely nice, personable, knowledgeable and honest. She explained everything thoroughly and answered all of my questions. 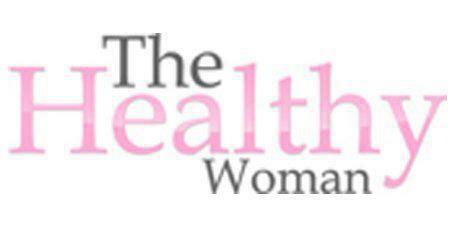 I would recommend her & The Healthy Woman to any female. They have a wonderful process, prior to, during and after your appointment. And they offer a calming atmosphere. Dr. Slaughter was very caring and shows great concern about her patient's health. Dr. Slaughter is so friendly and helpful. She put me at ease and I felt totally comfortable. Great experience! I so appreciated Dr. Slaughter spending time with me to talk about my different options for birth control that I would be comfortable with. The Staff is always warm, inviting, and professional. The DRS. Are very knowledgeable and always have a positive outlook on things. Love this place! Everyone I encountered was friendly and made me feel at ease. Dr. Slaughter is very knowledgeable and took her time with me.